Do you find that there are always bits and pieces around you house that just don't have a home? And no matter where you try to put them, they just look cluttered or out of place? If so, the Nuvola White Oak Sideboard might just be what you need. 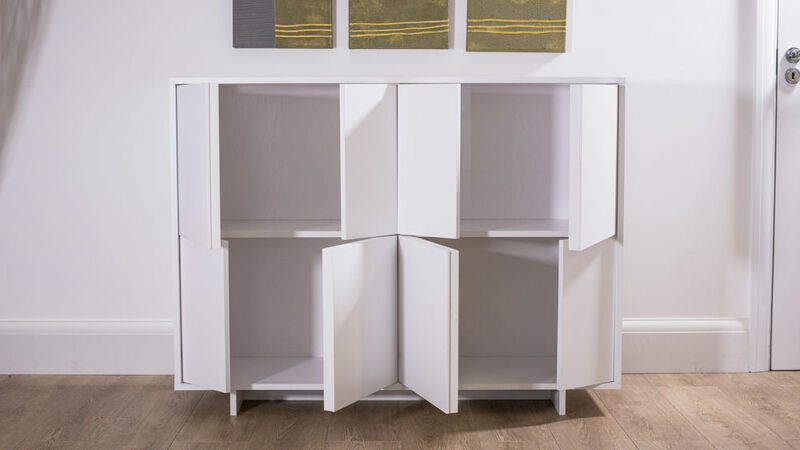 This modern storage unit has four well sized cupboards, perfect for storing all those random bits and bobs that just don't have a place to go. The trendy design of the doors add a modern twist to the design of this unit, making the Nuvola a very stylish and extremely useful piece of furniture to your home. 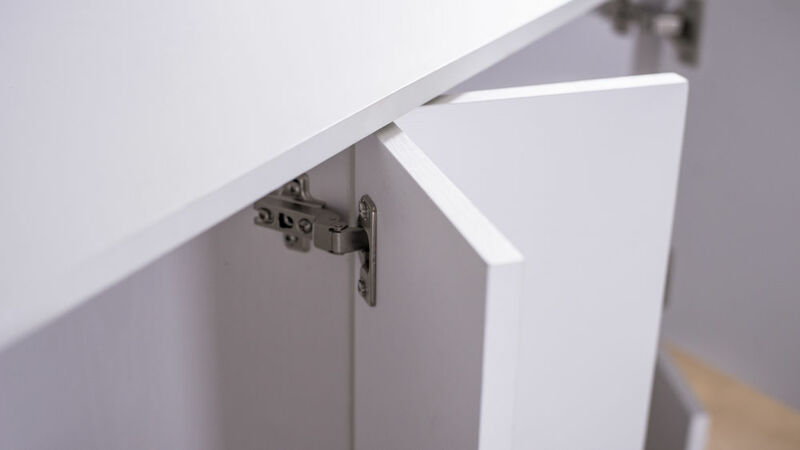 The jigsaw effect created by the different sized doors on the front of this sideboard creates a visually interesting and unique design feature, adding a very modern and edgy look to any living space though a simple yet very effective design. 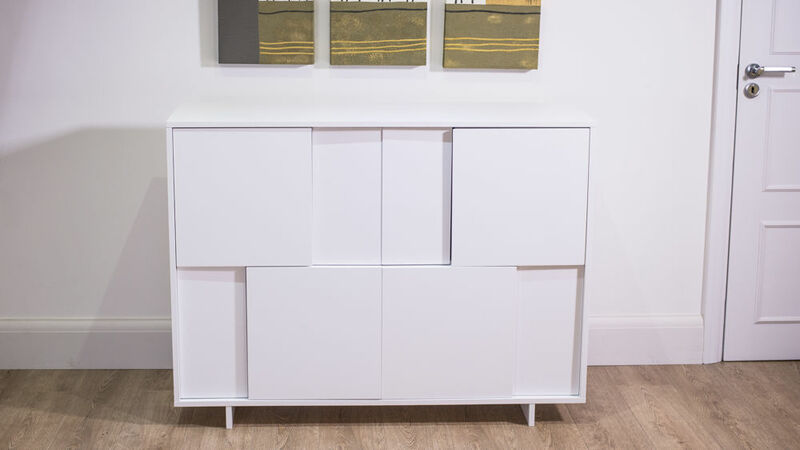 The contemporary Nuvola White Oak Sideboard has 4 evenly sized storage compartments. This simple design allows you to store a variety of items, from dinner plates to game consoles and DVDs, making the unit very versatile. The flat surface top of the sideboard is an ideal spot to display your favourite ornaments and family photographs, doubling up as both as a storage unit and as a handy display shelf. The Nuvola sideboard measures 120cm in length, with a height of 90.2cm and a depth of 39.5cm. This thoughtful sizing gives the unit enough room for storage, without being too overpowering in a space or taking up too much room. 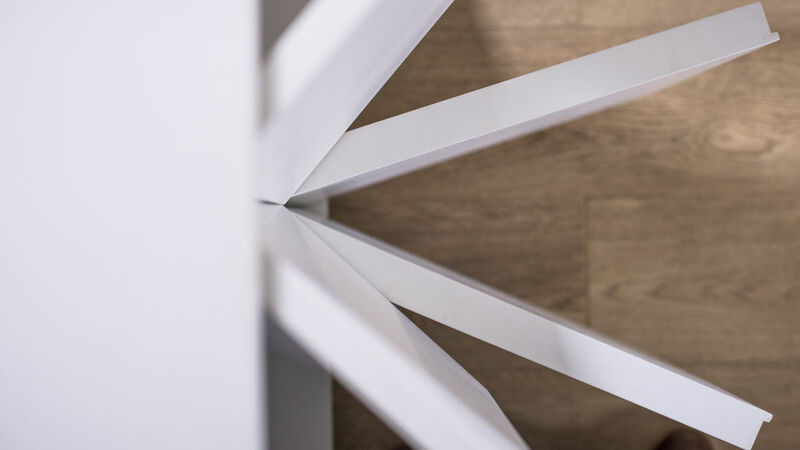 White oak is a great alternative to having a highly reflective gloss finish as it still adds a modern feel to a space, with the added design feature of the wood grain running throughout. This makes it a much subtler way to update the look and feel of your interior; you can always add gloss finished pieces later on! 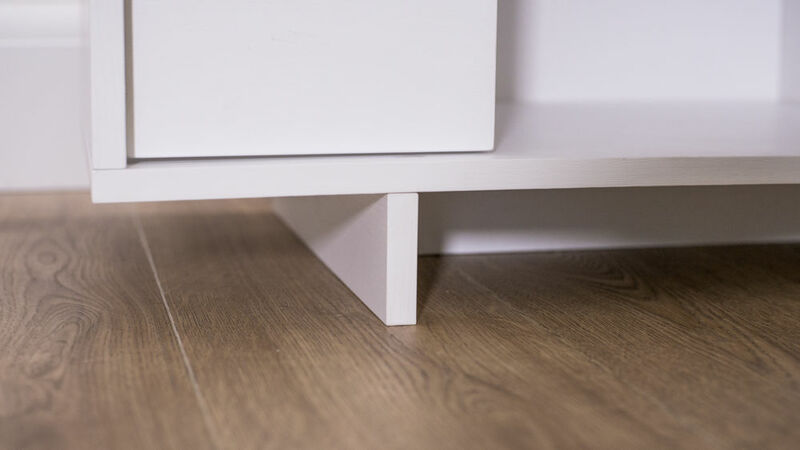 The feet of the Nuvola unit are finished in matching white oak, meaning you don't have to worry about matching metal legs with existing finishes in your interior. 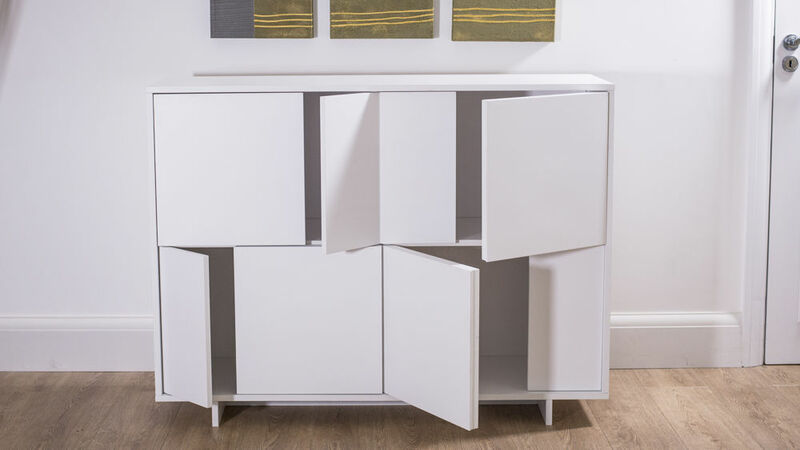 If you'd like to channel the stylish design of the Nuvola sideboard throughout your home, there are a whole host of matching pieces in the Nuvola White Oak Furniture range, so why not browse the collection to find some coordinating items for your home!